There had been rumours circulating that Rihanna would be the new face of MAC's Viva Glam and this has now been confirmed by Rihanna herself with the release of the official promotional ad campaign on her twitter page. As with previous viva glam campaigns all sale proceeds from the Rihanna Viva Glam will be going to those affected by HIV/Aids. It arrives online in North America on January 21st but for those of us leaving outside those territories we will have to wait patiently on a release date. I have no doubt there will be a frenzy over this lipstick and this time round it will be well worth it because the proceeds will be going to a good cause. A few pictures have surfaced online from journalists and a lucky few who were given exclusive access to view the product back in November and from what I've seen online Rihanna's Viva Glam lipstick appears to be a frosty red lipstick. I could be wrong but this is what I can gage from the pictures I have seen online. You can preview the lipstick below to decide for yourself, Is it frosty or not and will you be rushing to get a tube? 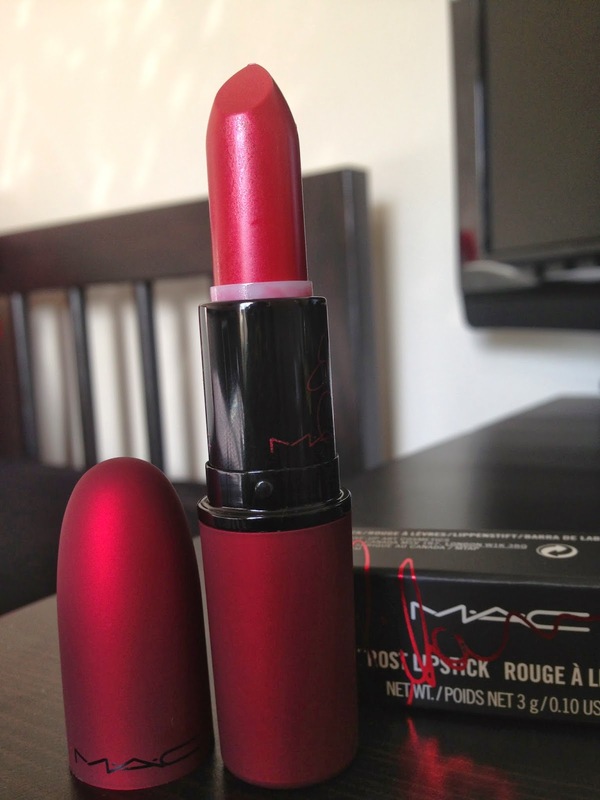 You can peep a picture of me wearing the Rihanna Viva Glam lipstick here!